Today, OnePlus partners with Marvel Studios to celebrate its 10th anniversary with the release of Avengers: Infinity Wars later this month. 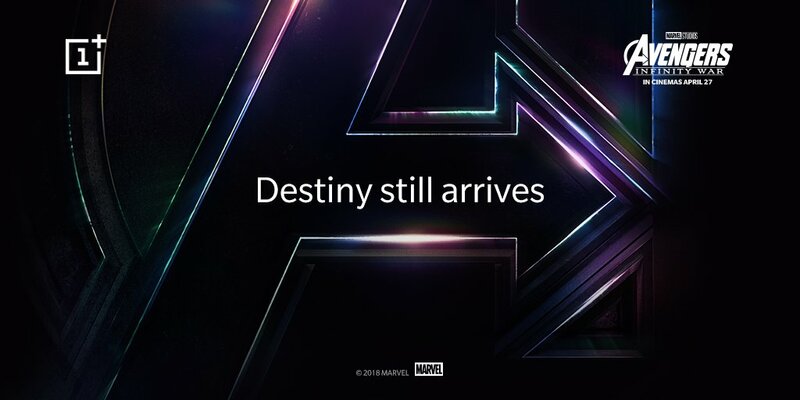 The partnership confirms that OnePlus and Marvel are working on an Avengers-themed OnePlus 6 for India. OnePlus had earlier partnered with Disney India to release a Star Wars themed OnePlus 5T in the country. Like the Star Wars 5T, which was sold in limited numbers, the Avengers-themed OnePlus 6 will also likely be available in limited numbers. It is unlikely to be released in other parts of the world since OnePlus only enjoys a huge fan base in India, and the reception elsewhere might not be that impressive. OnePlus is expected to unveil the OnePlus 6 early next month, just a week or two after Avengers: Infinity Wars hit theaters. Given the popularity of Avengers characters and movies in India, the Avengers-themed OnePlus 6 will probably sell like hotcakes when it goes on sale. We at OnePlus, the premium Android smartphone maker are partnering with Marvel Studios to celebrate its 10th anniversary with Avengers: Infinity War, which arrives in theatres on April 27, 2018. The Avengers-themed OnePlus 6 is expected to pack a powerful Qualcomm Snapdragon 845 processor, 8GB RAM and 256GB internal memory, but we have yet to learn any information about price and availability. Are you excited about OnePlus launching an Avengers-themed OnePlus 6?